Para leer la reseña de la película de Disney El Buen Amigo Gigante en Español, continua al final de la versión en Inglés. 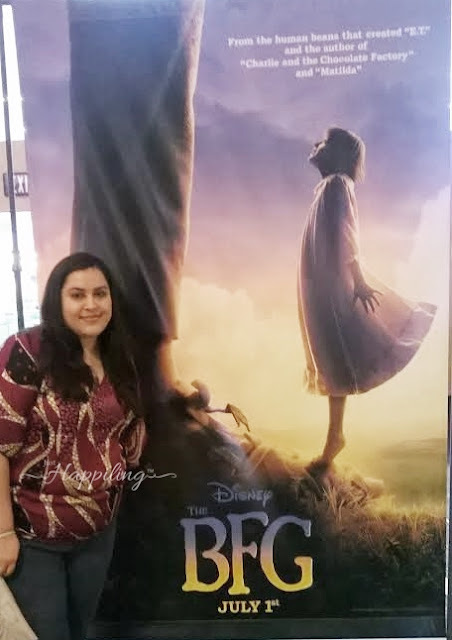 Disclaimer: We were invited to an advanced screening of The BFG by Allied Hispanic, in exchange for writing this blog post. Nonetheless, all opinions are our own. The movie photos were provided to us for press purposes. Any fanart used in this post was created by us with the intention of adding some original content to the blog post. I will try to describe our experience in this review, with as little spoilers as I possibly can. But I can't explain myself all the way without being a little descriptive at times, so please bare with me. As a Mexican, born and raised, I was not really aware of The BFG's story, as it was not part of our literary culture. I only became aware of it recently once the movie was announced. However, I did grow up with the awareness of some family movies inspired by Roald Dahl's work, which are in fact some of my all-time favorites. In my opinion, it totally makes sense to release a movie, inspired by one of his most popular pieces, to engage the whole “wonky” world with his legacy, and commemorate this British novelist's 100th birth anniversary celebrated this year. I have always believed that it doesn't matter how old you are to enjoy a good family film. When you know that a movie was: Inspired by a great literary genius like, Roald Dahl; has the talent and vision of one of Hollywood's Masters, Steven Spielberg; and a key ingredient towards the creation of such movie is, the magic of Disney, you know that the end result is going to be an epic masterpiece that will transcend throughout generations to come. On June 27th, of this year, we were honored as part of the press team invited to see an advanced screening of Disney's The BFG on Imax 3D. To be honest, I am not a big fan of 3D movies, but I was opened to the idea, because I have been hoping to be impressed with the right movie. I must say that—this was the one. Watching this movie in 3D, literally brings it to life. The images were in super crisp high definition, and I did catch my guest trying to reach out towards the screen a couple of times. When the images look as vivid as they did, you just can't help but try to reach out and be part of the scenes yourself. I did not feel overwhelmed by the fact that some images felt very close to me, which is a big deal in this case. There was just one scene that felt a little harsh, because there was a lot of movement crowding the scene. However, the wonderfully taken scenery shots are totally worth it. The dimension given to the scenes that had characters, foliage, and a beautiful starry sky in the background, just invited me to join the characters into the scene as well. I promise you that you will be amazed by some of those very colorful night-time scenes (you'll see what I mean when you see the movie). The casting was brilliant! Ruby Barnhill, who plays young Sophie, is just adorable. In so many ways, I felt very identified with her character. She played her part with such grace, I just couldn't help but fall in love with her acting. 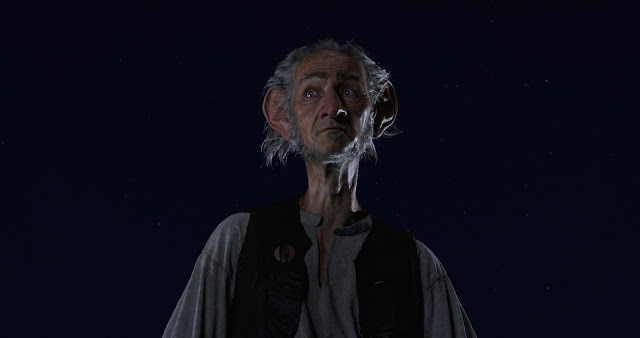 Mark Rylance does a remarkable job playing the BFG (big friendly giant). He has such a wonderful charisma, that as Sophie, I too wanted him to become my friend. Every time his character smiled, I just wanted to jump into the scene and hug him as well. It was like a familiar feeling. Like when you hug someone that is very dear to your heart. I couldn't think of any other actor that could pull out the personality of BFG as well as Mark Rylance did. The interaction between BFG and Sophie was so well played and so engaging, that it blows you away into another realm. All of the characters in the movie, in my opinion, were eloquently chosen. There were so many talented actors we already knew in this movie, and some which I really enjoyed watching, such as; Penelope Wilton, Adam Godley, and Jemaine Clement, just to name a few. The story itself is very inspiring. All of a sudden, I felt overtaken by my 10-year-old-self, wanting to be right there next to BFG, sharing a few adventures of my own. In my opinion, I think we could easily identify ourselves with Sophie's character, because as kids; we all tend to be a little afraid at night sometimes, sometimes we also find it hard to go to sleep once those scary thoughts wonder our heads, and we also make a huge effort to make others see what we see, in order to believe anything is possible. Hey--the world is full of wonder, and sometimes we just forget about it. Nonetheless, I think this movie is a great reminder of that, with the help of all the great talent involved in it's creation. Throughout the movie, you could hear parents and children laughing a-like. The innocent sense of humor displayed, made those scenes very enjoyable for everyone watching. I believe that those giggly moments here and there, are what makes this movie so memorable and touching. If I could make reference to any other movie, that as a kid, made me feel this way, I would place “E.T.” and every Disney movie in a blender, because I had a mixture of all those wonderfully magical emotions. I giggled, I laughed, I cried. I think this movie has a strong message about believing; believing in one-self, believing in those you love, believing friendship comes from the oddest of places, and believing that anything is possible if you just open your heart to see the unexpected. Even if little Sophie and BFG are the oddest of couples in the movie, their friendship is emotionally heartfelt. By the end of the movie, I was left with a lovely warm feeling in my chest. 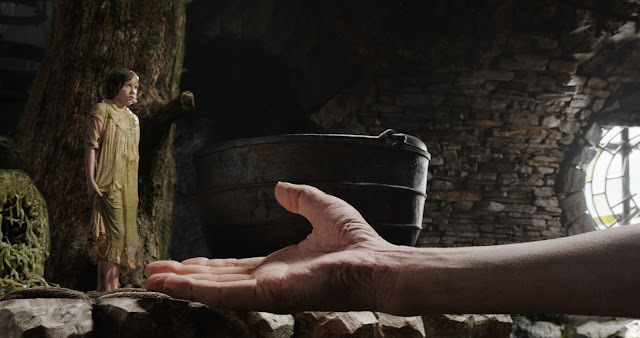 I felt the magic of Disney's The BFG, invited us to believe that dreams can come true if the right ingredients are added to the mix. I highly encourage all of you to be amazed this July 1st, 2016, and allow; he who can hear “all the secret whispers of the world”, to be an enchanting part of your family's experience this summer. Thank you for reading my almost spoiler-free review of Disney's The BFG. If you want to read the synopsis of this movie and watch the official trailer, go visit my previous blog post (LINK HERE). And please tell me, are you as excited as your kids to watch this movie? I know I was as excited as a kid all the way until the lights were dimmed at the movie theater. It was just an incredible experience, which I am very happy to share with you. Want to encourage other families to watch this movie? 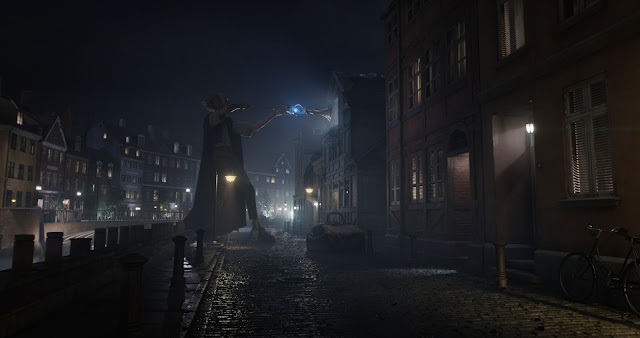 Then share this blog post on social media and add #TheBFG to the mention; we really appreciate it! 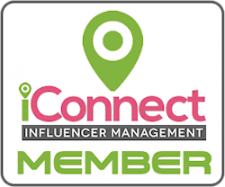 If you want to read future blog posts like this one, don't forget to follow us through social media to be up-to-date with the latest at Just Happiling. 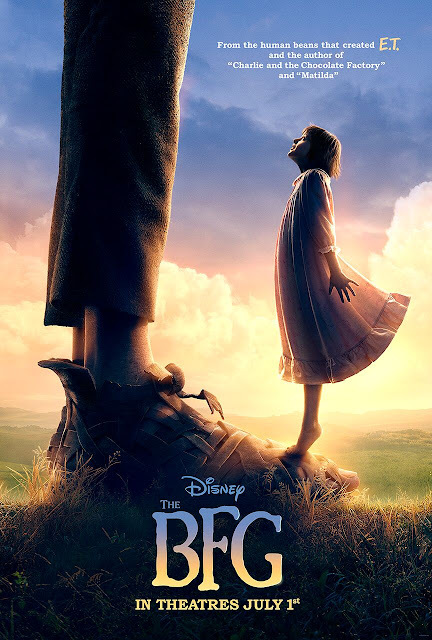 Exención de responsabilidad: Fuimos invitados a un avance de la película The BFG (El Buen Amigo Gigante) por Allied Hispanic, con el propósito de escribir una reseña acerca de la película. No obstante, todas las opiniones son nuestras. Las imágenes utilizadas en este post, acerca de la película, nos fueron proporcionadas con fines de prensa. Cualquier otra imagen utilizada en este post, considerada fanart ha sido creada por nosotros con la intención de añadir contenido original en nuestro blog. El talento de tres de los mejores narradores del mundo –Roald Dahl, Walt Disney y Steven Spielberg–finalmente se une para traer al cine el adorado clásico de Dahl “The BFG”. 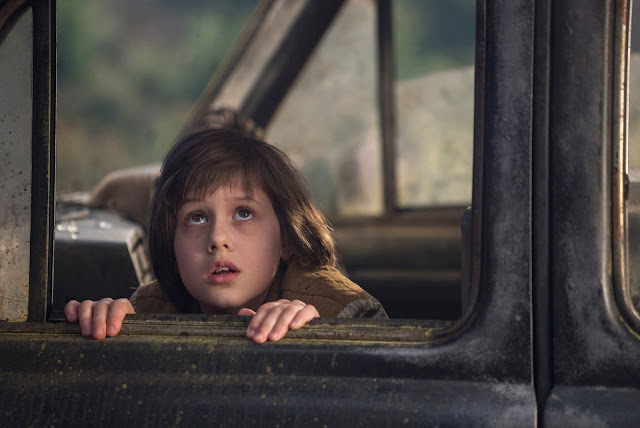 Dirigida por Spielberg, la película de Disney “The BFG” cuenta la imaginativa historia de una niña y el gigante que le presenta las maravillas y los peligros del país de los gigantes. Voy a tratar de describir nuestra experiencia en esta reseña, con la menor cantidad de spoilers que me sea posible. Sin embargo, en ocasiones tendré que ser un poco descriptiva, con a finalidad de explicar mi parecer al respecto, así que les pido un poco de paciencia. Siendo de nacionalidad Mexicana, de nacimiento y crianza, no estaba muy al tanto de la historia sobre The BFG (El Buen Amigo Gigante), ya que hasta donde tengo entendido, no es parte de nuestra cultura literaria. No obstante, me percaté de esta película, al anunciarse en los cortos mostrados al inicio de otra película que fuimos a ver. Aun y que no conocía esta historia, durante mi infancia, crecí viendo diversas películas inspiradas en otras obras literarias de el escritor Británico Roald Dahl, las cuales son y han sido algunas de mis favoritas. En mi opinión, el lanzamiento de la película de una de sus piezas más populares en diversas partes del mundo, tiene sentido, ya que este año se celebra el 100 aniversario del nacimiento de dicho escritor. Siempre he creído que no importa la edad que uno tenga, para disfrutar de una buena película familiar. Pero cuando sabemos que la película: Fue inspirada por un genio literario, Roald Dahl; contiene el talento y la visión de uno de los maestros de Hollywood, Steven Spielberg; y que un ingrediente clave para la creación de dicha película es, la magia de Disney, se entiende que el resultado final va a ser una obra maestra de épicas proporciones la cual trascenderá por generaciones. El 27 de junio de este año, tuvimos el honor de ser invitados como parte del equipo de prensa para ver un avance de la película de Disney The BFG en Imax 3D. Para ser franca, no soy gran fan de las películas en 3D, pero estaba dispuesta a darle oportunidad a este medio, con la idea de que algún día quedaría impresionada. Debo admitir que esta fue la película que logró convencerme a ver películas en 3D en el futuro, ya que literalmente, este medio trajo la película a la vida. Las imágenes de alta definición, estaban tan nítidas, que me hicieron sentir como si formase parte de la acción. Incluso logré ver a mi invitado tratar de alcanzar los objetos que aparentaban salir de la imagen un par de veces. Supongo que cuando las imágenes se ven tan reales como lo hicieron en este caso, uno no puede dejar pasar la oportunidad de formar parte de las escenas al tratar de alcanzar lo inalcanzable. Por otro lado, no me sentí tan abrumada por el hecho de que algunas imágenes se sentían muy cercanas, lo cual normalmente me causa problemas. Sólo había una escena que se sentía un poco incómoda ya que había una gran cantidad de movimiento, aunada a un gran número de objetos en una misma toma. Sin embargo, las tomas de diversos panoramas en varias escenas fueron tan increíblemente maravillosas, que hicieron que totalmente valiera la pena ver esta película en 3D. La dimensión creada mediante los personajes, la fauna, y un hermoso cielo estrellado de fondo, lograron invitarme a formar parte de lo que acontecía en la historia en ese preciso momento. Prometo que quedarán sorprendidos por algunas de estas coloridas escenas nocturnas (ya verán a lo que me refiero cuando vean la película). ¡El casting fue excelente! Ruby Barnhill, quien interpreta a la pequeña Sophie, es simplemente adorable. Mi niña interior, se sintió muy identificada con su personaje en diversas ocasiones. Ruby interpretó su papel con tal gracia, que me enamoré de su actuación. Mark Rylance hace un trabajo extraordinario en su papel como el BFG(El Buen Amigo Gigante). Su maravilloso carisma, me dejó sin palabras y deseando que, al igual que con Sophie, el BFG también se convirtiera en mi amigo. Cada vez que su personaje sonreía, yo sólo quería saltar e incorporarme a la escena y darle un abrazo también. Era como una sensación familiar, como cuando uno quiere abrazar a un ser muy querido y allegado al corazón. Dudo que hubiese algún otro actor que lograra plasmar la personalidad de el BFG, como Mark Rylance logró hacerlo. La interacción entre BFG y Sophie estuvo tan bien proyectada, que fácilmente te transportaba a un mundo mágico e indescriptible. En mi opinión, todos os personajes en la película, fueron elegidos de manera elocuente. Disfruté de ver a tantos actores talentosos. A algunos de ellos, tales como; Penélope Wilton, Adam Godley, y Jemaine Clement, sólo por nombrar a unos cuantos, ya les conocía de previos trabajos de actuación, y me dio mucho gusto verlos en este filme. La historia en sí es muy inspiradora. En momentos, me sentí transformada en mi pequeño ser de 10 años de edad, ya que también quería compartir fantásticas aventuras a lado del BFG. En mi opinión, creo que es fácil identificarse con el personaje de Sophie, ya que de niños; muchos sentimos temor por las noches de vez en cuando, a veces también batallamos en irnos a dormir cuando ciertos temores abruman nuestros pensamientos, y también hacemos un gran esfuerzo en intentar hacer a otros ver lo que nosotros vemos con ojos de niño, todo esto con la finalidad de hacerlos ver que todo es posible. Después de todo, el mundo está lleno de maravillas las cuales tendemos a olvidar. En mi muy humilde opinión, creo que esta película y con todo el gran talento involucrado en su creación, son un gran recordatorio de esto. A lo largo de la película, se podía escuchar a los niños y adultos reír por igual. Algunas escenas fueron agradablemente percibidas por todos los espectadores sin importar su edad, debido al inocente sentido del humor de los personajes. Creo que esos momentos risueños aquí y allá, son los que hicieron de esta película, una pieza memorable y conmovedora. Si pudiera hacer referencia a cualquier otra película que me hiciese sentir de esta forma durante mi infancia, tendría que colocar a "E.T." y a todas las películas de Disney en una mezcladora, ya que tuve todas esas maravillosas y mágicas emociones mezcladas durante esta noche. Me reí, sonreí, y lloré. Creo que esta película tiene un fuerte mensaje acerca de el valor de creer; creer en uno mismo, creer en nuestros seres queridos, creer en el entender que las amistades pueden surgir de las formas más inesperadas, y la creencia en que todo es posible si uno abre su corazón para esperar lo inesperado. Inclusive siendo Sophie y BFG un dúo totalmente diferente, la percepción de su amistad es muy emocional. Para cuando la película terminó, me quedé con una sensación muy especial en mi corazón. Sentí como la magia de esta película de Disney, nos invitó a creer en que los sueños pueden hacerse realidad si uno sabe los ingredientes adecuados, y a el ser indicado quien sabe crearlos. Por eso los exhorto a sorprenderse este 1o de Julio, del presente año, a visitar su cine favorito y a disfrutar de una increíble historia sobre un gigante, aquel que puede escuchar "todos los secretos susurros del mundo"; una maravillosa experiencia de ámbito familiar para este verano. Gracias por leer mi opinión en esta reseña casi libre de spoilers. Si deseas leer la sinopsis de la película y ver el trailer oficial, visita mi post anterior(ENLACE AQUÍ). 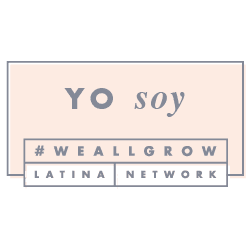 Para futuros posts como este, pueden seguirnos en nuestras cuentas de redes sociales.